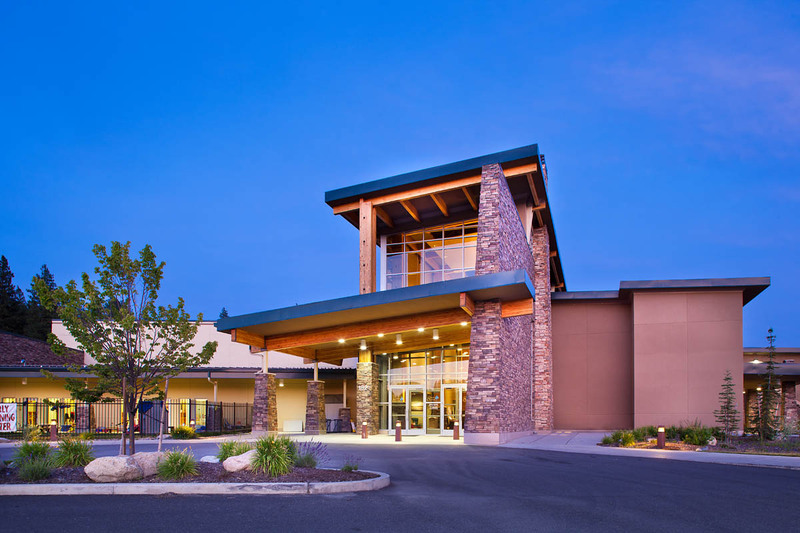 The Camas Center for Community Wellness, located on the Kalispel Tribe's reservation in Usk, Washington, is part of the Tribe’s vision for improving the quality of life of tribal members and the surrounding community. Primarily funded through revenue generated by Northern Quest Resort & Casino, the Center was built to provide quality, holistic health care and wellness programs. Since opening in 2008, the 77,000-square-foot wellness complex has become a hub of activity with hundreds of members from neighboring communities. The Center houses a medical and dental clinic, daycare, fitness and recreation center, gymnasium, swimming pools, a rock climbing wall, business meeting rooms, deli, and more. For more information, call 509.447.7122 or email: wellness@kalispeltribe.com. Download our fitness class schedule here. Download our fitness area rules here. Download our general facilities rules here.